Brendan Clarke; Conor McCormack, Sean Hoare, Kenny Browne, Ian Bermingham; Greg Bolger; James Chambers; Conan Byrne, Mark Quigley, Chris Forrester; Christy Fagan. Gary Rogers; Alan Keane, Gavin Peers (Evan McMillan 60), Kalen Spillane, Iarfhlaith Davoren; Sean Maguire, David Cawley, Seamus Conneely, Danny Ledwith (Eamon Zayed h/t); John Russell; Danny North. 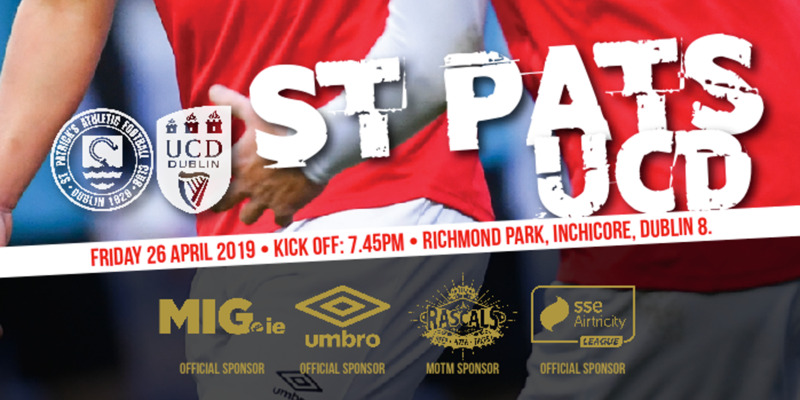 Chris Forrester's early strike - and a terrific late stop from Brendan Clarke - made it eight straight home league wins for St. Pat's. 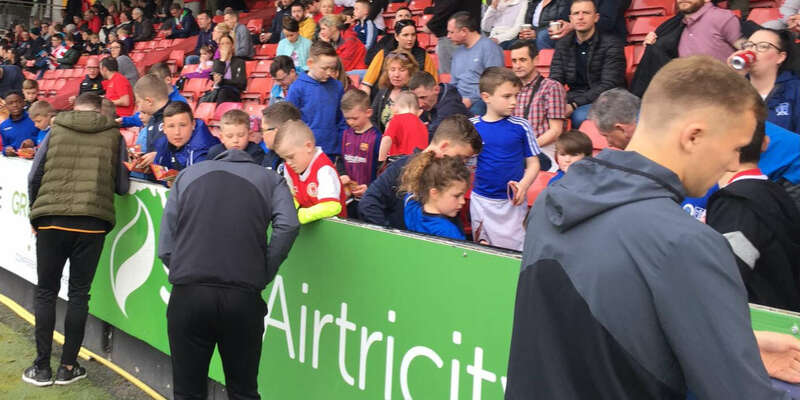 In truth, though, it should have been a more comfortable victory than the scoreline suggests for Liam Buckley's champions as Sligo finished with ten men. Kenny Browne was fit to return for St. Patrick's in their only change from their win in Athlone last week. Iarfhlaith Davoren came straight into Sligo's side at left-back as fellow new signing Eamon Zayed started on the bench. With James Chambers orchestrating their midfield, St. Patrick's started positively. Forrester shot wide early on before a bit of magic from Mark Quigley saw him beat two defenders and force an awkward save from Gary Rogers with a low drive to the near post. The home side's dominant start duly brought its reward on 18 minutes with what proved the deciding goal. Browne's ball out of defence found Forrester who fed Fagan. 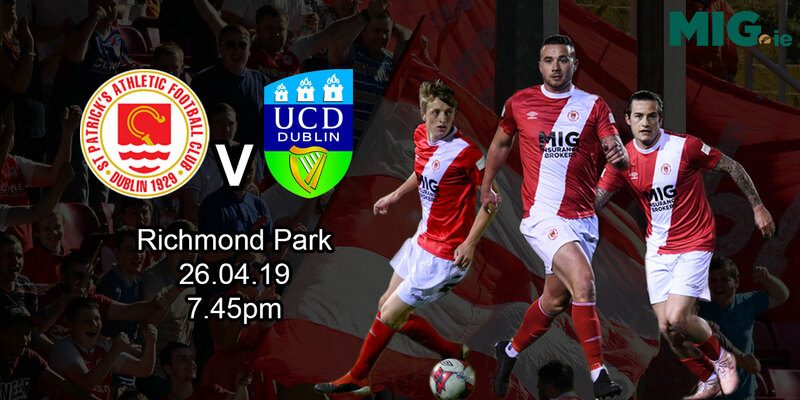 The St. Patrick's striker benefited initially from a slip by Sligo skipper Gavin Peers before cutting across and setting up Forrester who drilled a crisp right-foot shot across Rogers to the far corner of the net from 20 yards for his tenth goal of the league campaign. Sligo responded with a little spell of pressure which almost brought an equaliser on 21 minutes but for a fine block by Browne from Alan Keane's shot on the turn after a right scramble in the home box. St Patrick's, though, should have been further ahead on 28 minutes from a route one approach. Forrester's ball over the top put Fagan clean through on goal. The shot arrowed just wide of Rogers far post, however, as Fagan knows he should have had league goal number 17 for the season. Sligo brought on Zayed at the break as they changed their shape to go with two up top. It certainly gave them a bit of impetus with Sean Maguire shooting just wide off his left foot five minutes in. Five minutes later they ought to have been level. Maguire started the move which then involved John Russell and Seamus Conneely. The ball then ran into the path of Danny North who somehow contrived to shoot wide across goal for a dreadful miss. St. Patrick's worked hard to get back on the front foot and they should have all but made the game safe on 70 minutes. Forrester galloped forward, worked a one-two with Fagan, beat a defender to get the ball onto his left foot. The finish wasn't there this time, though, as he fired low past Rogers' left-hand post from the edge of the area. Rogers then made a fine save, going full stretch to touch Fagan's 20-yard shot, that looked destined for the top corner, round a post. Sligo finished with ten men when North was shown a straight red card for a professional foul on Conor McCormack on 86 minutes. Incrediblye, John Coleman‘s might then have snatched an unlikely draw in the first minute of stoppage time. Maguire put Zayed in on goal, but Clarke was off his line superbly to make a brilliant save.